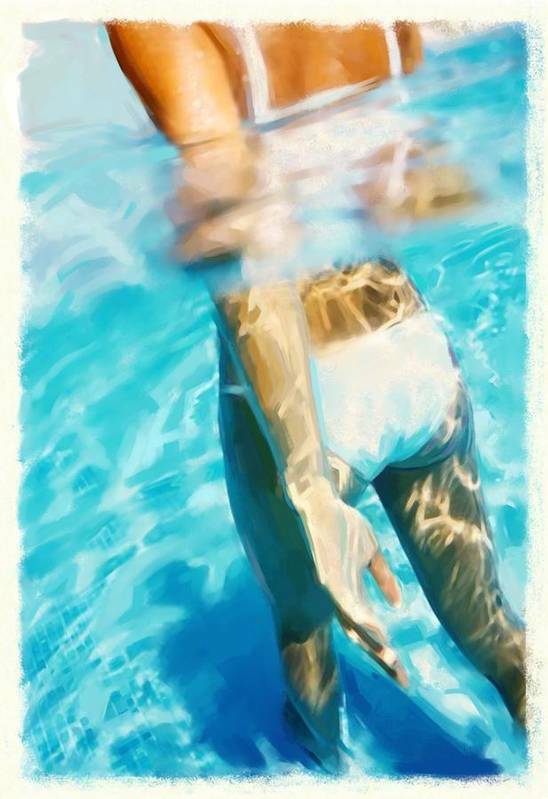 Pool Lady by Thomas Hansen - 5.500" x 8.000"
Pool Lady art print by Thomas Hansen. Our prints are produced on acid-free papers using archival inks to guarantee that they last a lifetime without fading or loss of color. All art prints include a 1" white border around the image to allow for future framing and matting, if desired. Thomas Hansen Education: BFA Academy of Art University, San Francisco, CA. As a commercial artist (graphic designer and art director) for the passed 25 years, I've found that painting and illustrating brings back my love for the arts again. I have a traditional art school background in painting and illustration but have embraced the new digital mediums with open arms. 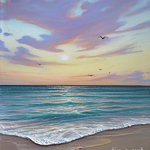 Some of my work is still produced with oils on canvas but the majority are now created with digital pixels. I have many interest, landscape painting, figure painting, digital 3D illustration so my work might seem eclectic but I guess that is an expression of my love for the arts and my thirst for learning.